Assay Technology develops cost-effective, convenient methods to monitor exposure to workplace chemicals. We provide personal monitoring badges and IH lab services. The SmartBadge™ App generates lab request documents. Sample for acetic acid, OVs, aldehydes, amines, anesthetics, and others. Meets OSHA requirements. Save 10 percent per box online. Visit www.assaytech.com or call (800) 833-1258. EMSL Analytical, Inc. offers free pocket sampling guides! To request a free sampling guide for microbiology, Legionella, silica, or formaldehyde, please call (888) 958-8170 or email info@emsl.com. 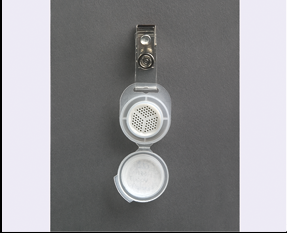 Real-time, personal, particulate monitor for respirable and inhalable particles. Easy interchange of sampling heads and adjustable switch that automatically changes flow rates and calibration curve to meet NIOSH 0500 and 0600 methods. Made in the USA. Visit www.hazdust.com, call (800) 234-2589, or email sales@hazdust.com. The Legiolert® Test is a simple culture test that accurately quantifies Legionella pneumophila, the primary cause of deadly Legionnaires’ disease. It finds Legionella pneumophila that older spread-plate methods miss in potable water. The Legiolert Test is ideal for the Legionella testing step in water management plans for building water and cooling towers. Visit www.idexx.com/Legiolert. ASSET™ EZ4 dry samplers for isocyanates are easy-to-use and offer ultimate sensitivity for collection and measurement of vapor-phase and aerosol isocyanates. They collect the full range of isocyanate monomers and oligomers of TDI, MDI, HDI, and IPDI, while the ASSET™ EZ-ICA sampler collects isocyanic acid and methyl isocyanate at low levels. Visit www. sigmaaldrich.com/asset. Nanozen’s Real-Time Personal Wearable Particle Sensor, DustCount 8899, is now intrinsically safe and good for respirable, inhalable, and wildfire particulates. Check out OSHA’s FAQ for crystalline silica regarding the use of direct-reading instruments to conduct real-time monitoring of respirable dust. SGS Galson’s Smart Sense is a remote, cloud-based sensor product allowing CIH/IH’s the ability to monitor, collect, and download data from anywhere in the world. VOCs, CO, CO2, particles, NO2, H2S and SO2 are among the available sensors that allow true remote IH monitoring to the mainstream. Visit www.sgsgalson.com/smart-sense. SKC introduces the new 20 to 500 ml/min Low Flow chek-mate Calibrator. Calibrate your low flow sample pumps to a NIST- or UKAS-certified volumetric accuracy of 1% of reading (50–500 ml/min). One-button control, no moving parts (use in any orientation), and continuous moving-average flow readings. Demo at AIHce Booth 1803! Visit www.skcinc.com/chek-mate.